General Motors or General Malfeasance? My Uncle Johnny must be banging on the lid of his coffin, trying to get out. He devoted nearly 30 years of his life to his beloved General Motors, traveling around central Kentucky, calling on Chevrolet dealers and selling them all Chevy models. Never mind that he held GM stock that was worth $80,000 at one point but was worth $800 when he died a few years ago. He still loved the company. But look at GM now. It has utterly disgraced itself. For 10 years, from 2004 to early this year, management employees knew there was a problem with ignition switches in certain models suddenly switching off when bumped or jostled. GM has said that it knows of 13 deaths tied to the failure of ignition switches, which caused Chevrolet Cobalts and Saturn Ions to lose engine power and deactivate air bags. The number of deaths could be higher, of course. In a Sunday New York Times story, Transportation Secretary Anthony R. Foxx said GM’s unwillingness to share information about defective switches with regulators most likely resulted in lives lost. “Literally, silence can kill,” Foxx said in a news briefing. During its decade of silence, GM even made significant upgrades to the part sometime in 2006 but did not give the new part a new number and didn’t issue any recalls, thus continuing the cover-up. An Automotive News article in March quoted former GM engineers who said the company’s reports to federal regulators describe a sequence of events that was fundamentally at odds with standard operating procedure. Not assigning the new part number would have been highly unusual, according to three people who worked as high-level GM engineers at the time. None of the engineers was involved in the handling of the ignition switch; all asked that their names not be used because of the sensitivity of the matter. Early this year, the cover-up spun out of control, and GM began recalling millions of cars. At least 2.6 million of those recalls involve Cobalts and Ions. Last Friday, the U.S. Transportation Department fined GM a record $35 million for failing to disclose problems with the ignition switches. GM agreed to the fine and also agreed to report safety problems faster and let government regulators oversee its safety operations. GM is now desperately trying to counter what looks like irreparable damage to its reputation. Recently, the company created the position of first vice president in charge of global safety; it has recalled a total of 13.8 million vehicles (more than five times the number of cars and trucks the company sold in the U.S. last year); and chief executive Mary Barra has told a congressional committee in April that the company was intent on swiftly rooting out the problems and fixing them. So far, the scandal doesn’t seem to have had a significant effect on sales. GM reported that it delivered 254,076 vehicles in the United States in April 2014. Total sales were up 7 percent compared with a year ago. Fleet sales were up 5 percent, and retail sales were up 8 percent. You can expect more developments and more details to unfold, however, and it will surprise me if GM doesn’t lose a significant amount of market share in the months ahead. 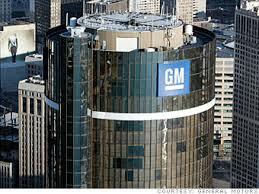 The damage is already being reflected in GM’s stock price, which has sunk about 20 percent so far this year. I can tell you this…I will never buy another GM product. (Haven’t owned one in more than 25 years, anyway.) A 10-year cover-up? It’s a certifiable outrage. Plenty of other good auto options exist, and it wouldn’t bother me if the company sank into the abyss. I sure miss my Uncle Johnny, but I’m glad he’s not around to see this. I get where you’re coming from, but it’s “old hat”. This has gone on for decades with more than one automaker. And who knows how many have gotten away with it in the past? Just jogging through the old noggin’ a few come to mind over the years. Remember the Corvair? In 1970 GM was in court for knowingly designing a vehicle that allowed carbon monoxide into the passenger compartment through the heater ducts. And what about all of those pick-up trucks built from the early ’70’s until the early ’90’s? Fuel tanks on the flanks with nothing more than a 1/16″ sheet metal skin for protection. Think they learned from that mistake? Apparently not. 1992-2010 Ford Crown Victoria, Lincoln Town Car, and Mercury Grand Marquis were prone to fires in a rear-end collision. After at least 22 law enforcement personnel were killed, the Crown Victoria Police Interceptors were recalled. But somehow Ford got away without recalling any of the civilian platforms regardless of the fact that over 200 civilians died in similar crashes. And what about Toyota? Don’t they at least get an honorable mention in your story? Toyota admitted to misleading the public in order to protect the company’s reputation. A move that may have contributed to as many as 89 deaths. They were fined a landmark sum of $1.2 billion, and Toyota has also committed $50 million to launching the Collaborative Safety Research Center in Ann Arbor, Mich., which will work with more than 16 different universities and institutions to advance auto industry safety. Kinda makes GM’s punishment look like a slap on the wrist, doesn’t it? And that brings me to my point…This won’t stop here. It will repeat again somewhere down the line. GM’s punishment — a $35 million fine — was all smoke and mirrors. Remember, they are too big to fail. They are being fined a small fraction of the amount of money ($49.5 billion!) they took in the bailout. Incidentally, that bailout cost the taxpayers $11.2 billion. Wonder why GM got off so lightly? Maybe because Japanese citizens don’t vote in U.S. elections. GM commands a large percentage of the union workforce. I’m not saying the Republicans would have handled it any differently, if the situation benefited them, but in the end it all boils down to politics. So don’t worry about your Uncle Johnny. He held onto those stocks through all of the other snafus. I doubt he’s banging on the lid either. He would probably roll his eyes and say “here we go again” if he knew what was going on. He’s also likely to be as glad as you are that he’s not around to see it! I checked on your statement that the $50 billion GM bailout cost taxpayers $11.2 billion and found, in a recent Reuters story, that you are correct. That’s a lot of jobs. On top of the frightening unemployment numbers that the Great Recession generated, I would hate to think what another 1.5 million lost jobs — good-paying jobs — would have done to the economy. “That’s a lot of jobs”…and more importantly, a lot of votes. We have sent a lot more than 1.5 million non-union jobs down the river in the past. Have you seen some of the Ghost Towns GM has left in it’s wake when they decide to shut down a factory. Life goes on. Maybe they can learn to fix cars instead of building them! There happens to be a real shortage of competent mechanics in the aftermarket repair industry. My point was that GM got a slap on the wrist, while they dropped the hammer on Toyota. This is purely political and won’t put a dent in GM. By the way, thanks for the editing! You make me look smarter than I am! No one went to jail over the Pinto. GM serves a political purpose for those in power. The GM bailout secured Ohio in 2012–middle class workers who vote matter more than some conservative philosophy spewing from people who wouldn’t have been directly affected by GM going bankrupt. Joe Biden, to cheering crowds: “Osama bin Laden is dead and General Motors is alive”. I think it has more to do with the union. People in the union are programmed to vote Democratic regardless of their beliefs and values. Without the union GM would’ve been left to flop like a fish out of water. I know a few folks in the UAW, Teamsters, and Pipe Fitters who voted Democratic despite their conservative points of view. That’s $11.2 billion worth of campaign money that Obama got for free. Now he’s destroying the middle class with the AHCA. Meanwhile, Russia and China just struck a $400 billion energy deal that should have people worried more than what happens to GM. In the words of Earl Pitts…Wake up America! Funny….in 34 years of voting I have never once seen someone in the voting booth with a gun to their head. You’ve obviously never had that debate with a union worker! Correct. Because if anyone would tell me something so absurd that, while alone in the voting booth with no one knowing how they vote, they are pressured to vote one way or another, I would have dismissed them as weak minded and ignorant. That is Looney Tunes, my friend. Jim, I, too, am glad my dad isn’t around to see this. He was always so proud of GM, especially his branch, which was Chevrolet. For me the picture is so much bigger than this latest incident with GM. For me, the issue is corporate greed in general, with ALL big companies, who put profits over people. GM is just one example of the bloat that is so rampant in the corporate world. How much is enough, really? How much money does a top manager need to make? When a top executive for a company, in this case GM, makes $14,000,000 a year compared to the average salary of $65,000, something is wrong. Greed will be the downfall of humanity. An AP story out this morning says that GM expects more recalls and that they will continue into mid-summer. Jason — You will never be without work! The line jobs might go away, but the repair jobs never will. I hereby declare a cessation of hostilities between the union and the confederacy.